This list is in honor of a fellow blogger of mine. (http://theverybesttop10.com) Consider it my homage. 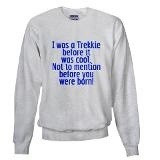 This classic sweatshirt gives the Trekkie in your life the pride of letting everyone else know how much better than everyone else he/she is because of how long he/she has watched this iconic television show. 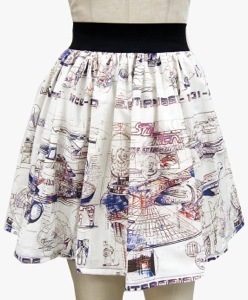 This lovely skirt goes with just about anything Trek. (Sort of.) 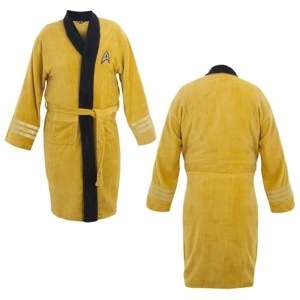 For the beautiful, and rare, Girl Trekkie in your life who wants to share her love of all things Trek. You go girl! 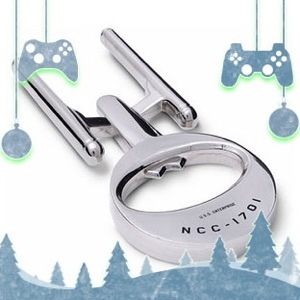 This little ditty allows your Trekkie the opportunity to showcase their love around the office. 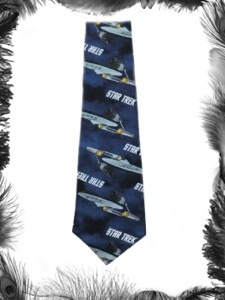 Always stylish, this tie goes with many shirt types and colors. Perfect for any season. For the Trekkie who likes to rabble rouse as much as a Klingon. 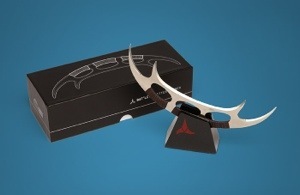 Perfect for opening bottles of Romulan Ale, Klingon Blood Wine, or any Terran beverage. 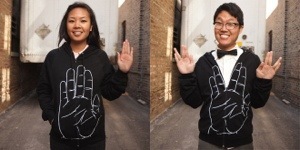 One of most amazing products to come out in years, this hoodie gives your Trekkie the option of saying hello Terran or Vulcan style. This is sure to be a hit with all the single ladies! Cutting pizza the Starfleet way! 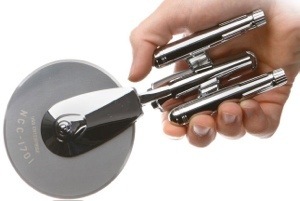 Let your Trekkie impress his/her friends during a party by whipping out this trinket and serving up slices. Let your Trekkie smell like a real man, probably for the first time in his life, by giving him this bottle of Captain Kirk’s sweat. It will help him stay cool under pressure and smell great doing it! Why? Because it’s just plain BA! Not only will your Trekkie be able to open letters the Klingon way, but he/she can fend off a tiny midget or Keebler Elf, or something else really small too! Well, that’s it! Feel free to comment, challenge, agree, or disagree. I need the hoodie and the skirt! I know right! I tried to buy one for my wife but she has quite a different feeling about Trek than I do. Love the skirt! Don’t think the pizza wheel would even fit in my cutlery drawer. Shame! I’ve been trying to convince my wife to buy it. She swears we don’t eat enough pizza, but I always assure her that fact can change. 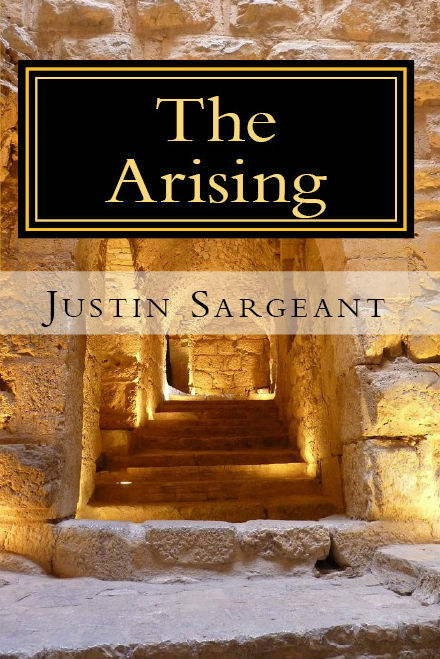 Thanks for the follow on my blog. I am a bit worried about all this Star Trek stuff though! regards from England, Pete. 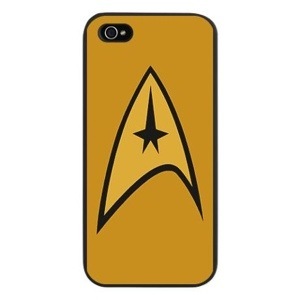 I’m a Trekkie, this rocks! Definitely before some Trekkies I know were born. I love #10! This is great. 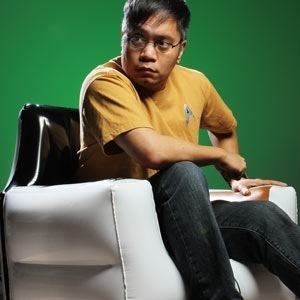 I was a Trekker when Trekkers weren’t cool! This is too sweet! I will need to add this as an honorable mention. Haha, I love this! Originally, I was going to put it in the list, but I was torn between whether it was a gift for Trekkies, or their kids, or both. Maybe I’ll do a top 10 for everything the child of a Trekkie needs to grow to be just like his/her parents. Awesome post! I totally have the housecoat in red and my boyfriend has the medical… Although, come to think about it, it should be the opposite, considering I’m the nurse. I think he just didn’t want to be the ensign. Lol. I’ll take a salute hoodie, bottle opener, and chair. Freaken awesome. Haha, I’m sure they have other captains you can smell like. This is awesome, I really like the skirt and the zipper jacket! 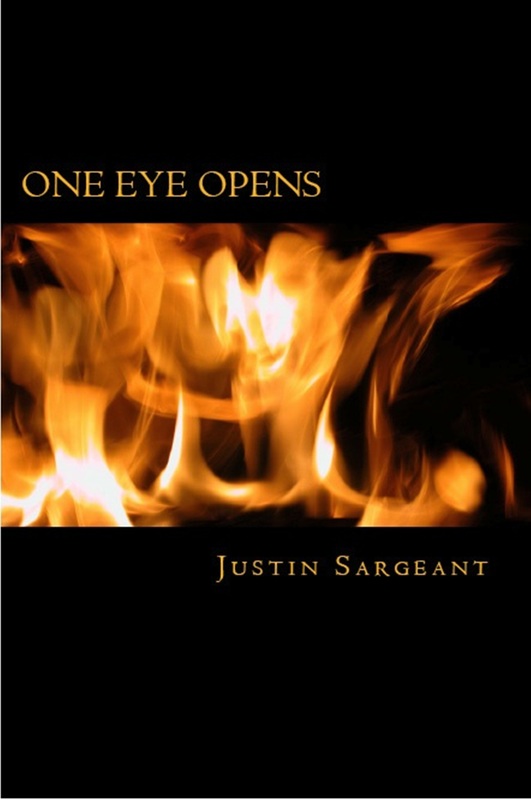 Great list thanks for sharing!